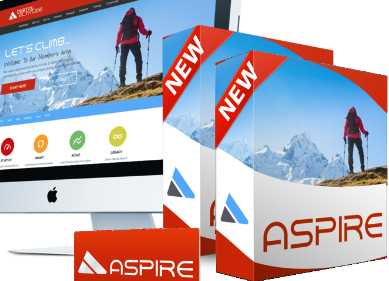 What is Aspire Digital Altitude – A Pyramid Scam? Warning! Today we take a closer look on Digital Altitude. What is Aspire Digital Altitude? A scam or a legit opportunity? Watch out for this one! This Digital alltitude can be very expensive and you should know a thing or 2 before jumping in to it. Ok, let´s get going with the review! Price: Minimum $37 per month but can end up costing you $27,000!! Overall rating: 3/10 NOT recommended! What is Digital Altitude about? The name of the guy behind the program is Michael Force. A former marine and a father of two beautiful little girls. He say to you that he has a VERY good life, he left the 9-5 world and created his own income online. He tells you how it took him many years of f frustration antil he finally could “crack the code” to how he could make A LOT of money online really works. He then goes on and tell you that you (yes you) will earn more money in 14 days than you ever will watching another “make money online” training program. Just plug in (pay the membership fee), follow the steps and start earning money! Sounds like a story that has been told many times on so-called make money online opportunity programs that I have reviewed before. What is Digital Altitude about in reality?? Hmm, where is this program now? Anyone? Michaels latest “make money online opportunity” is VERY and I mean VERY expensive if you buy into all of the steps the program offers. It can in fact end up costing you $27,000 !!! Sounds like a classic pyramid structured MLM (in my opinion). I have to say that this is my opinion of course, and that is that the real goal with this program is to get you to buy in on all of the products/training they got to offer. If you do that you will end up spending $27,000. Please understand this: If a marketing company want you to pay them for the privilege of getting people to join THEM there is something VERY wrong. I prefer programs that you get access to EVERYTHING and ALL without having to pay extra and getting an upsell in your face as soon as you join… Digital Altitude is not like that… Not at all actually. Digital Altitude reminds me of a program that I made a review on not long ago named Project Breakthrough. Not saying the same thing will happen with this one (that was a complete scam) but I am just saying… Don´t come back here later and say I didn´t warn you. Base – $597 One Time Charge: A digital business mastery course that teaches you how to set up business goals, financials, brands, and websites. Rise – $1,997 One Time Charge: A digital business mastery course that teaches you how to prepare your mind and plan your route, learn to understand your customer and market, Learn how to create and craft your message to market and stick in the minds of your customers, and learn how to write and pull in your prospects with powerful profit pulling words. Ascend – $9,997 One Time Charge: This is a A 5-Day all inclusive retreat for two where you learn from business leaders and listen to great speakers. Peak – $16,997 One Time Charge: This is a A 5-Day all inclusive retreat for two where you learn from business leaders and listen to great speakers. Apex – $27,997 One Time Charge: A 7-Day all inclusive retreat for two that brings experts in wealth building, investing, real estate, and asset management. Guru You – Tools for branding and social media: head shots, director videos, help with setting up social media etc. Inbound – Content & Blog. A service for getting content for your blogs. Traffic & Funnel products. Traffic packages to help you build and monetize your email lists and Funnel services. If a coach makes a sale for you, they get 20% of the commission at Tier 1. On all sales, you must have reached the level that you’re selling in order to get a commission. Otherwise it passes up (above you in the structure) to your sponsor. Do Not Forget To Read The Disclaimers and Disclosures! You know, the place where this kind of sites tend to be a little more honest about their programs. That is the Disclaimers and Disclosures job, you usually find them in the bottom with very small text. There is no guarantee that you will earn any money. Users of our programs, products, services and website are advised to do their own due diligence when it comes to making business decisions and all information, programs, products and services that have been provided should be independently verified by your own qualified professionals. Doesn´t really sound like you can trust them when they say that you will make money, right? There is a strict 14-day return policy on all ASPIRE products. Digital products, services and “bundles” that include BASE, RISE, GEAR, HIKE, TREK, TRAFFIC and COACHING as well as any products that include a live event ticket (ASCEND, PEAK & APEX), have a strict 72-hour return policy. A 72 hour refund policy? I think I have made my point very clear on this one, massive focus on recruiting others, upsell after upsell, phone calls, extremely expensive, etc. Do I need to continue? I mean that is the beauty of affiliate marketing (at least it should be). I mean you can start promoting any and I mean ANY thing you want online and get a commission for it. Let´s say you want to promote a company that rents out private jets, then just do it. If you want to learn internet marketing there is many programs that can teach you that (not even sure if Digital Altitude will give you a decent training on the subject). It might have though, not saying it hasn´t.. but is it really necessary to pay so much to be able to earn big commissions? In my opinion this is a VERY EXTREMLY overpriced product. Why pay a fortune for training that you can get for a couple of hundred dollars a year on other places?? For me this is a BIG ripoff and something you should stay as far away as possible you can… It also feels a bit to “pyramid structured” for my taste… I don´t mind if you are into MLM marketing, however it is not something I found interesting at all. 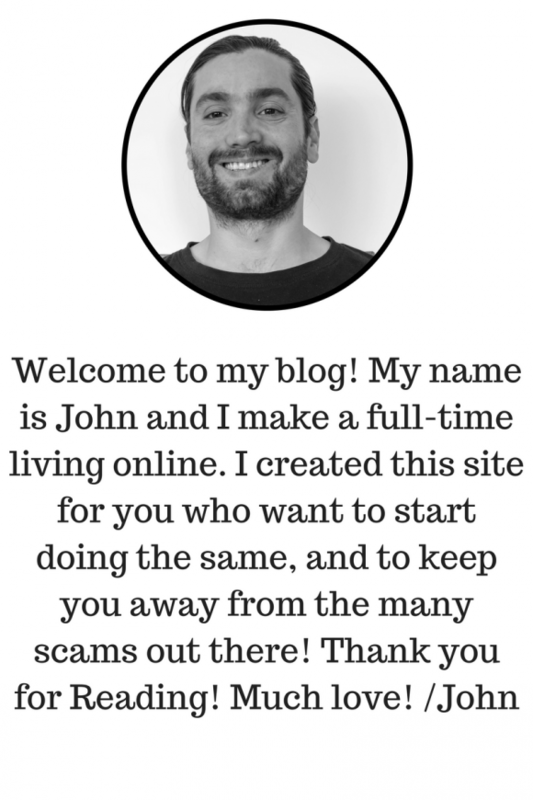 As I said before there are many legit programs out there that can teach you how to make money online, I got a few of them listed on this site. Programs that also DO NOT involve you in MLM or stuff like that but instead teaches you how to create your income around anything YOU want. The absolute best one I know of is Wealthy Affiliate University and if you want to read the review about that one you can click the link below. I hope you found this review of Aspire Digital Altitude to be helpful and now you know what it is and what it is all about. If you have tried it please share your experience with us below in the comment section. It can help others to avoid it. Also, if you got any other questions about this review I will be more than happy to answer them below. As soon as I heard that this man has been involved with Empower Network, I am out. I know that company, and it is a heavily overpriced and worthless scam. So I was not surprised to hear that his new company also costs very much, like Empower network. All that info he gives you for $2700 you could probably find by Googling without paying anything. I never heard about Aspire Digital, but I definitely know the guy from Empower Network! What a SCAM!!! They change the product but the crooks are the same! There is a lot of scam in the internet, so it’s good to be aware of those scams products. It’s really unbelievable the money we can loose with this kind of get rich quick scheme, in this case $27,000!!! Nice job on the website! Very, very informative. I’ve never heard of Digital Altitude, but have heard of the others. I actually bought into Carbon Copy Pro(it was junk-go figure.You sound like you’ve actually spent more money than me on some of these programs. I recently bought into Anthony Morrison’s program before finding WA. He took me for thousands. Thanks for bringing this new scam to my attention! that was an interesting read! I am always interested in hearing about different ways to make money online because I love the internet and it’s much more convenient for me to work from home but you have to be so careful! Thanks for the warning. In your experience, what is the best way to make a living working online? The absolute best thing to do is to learn the business from the ground and up to advanced level. First thing is first though. The absolute best method to start with in an internet marketing carrer is to learn affiliate marketing, by doing that you will get to know all the other parts of internet marketing. There is a lot to it and once you start to understand you will see that the possibillities are pretty much endless. In reading your review of this bogus scam I immediately had the warning bells sound off inside my head when you began talking about the con artist, Michael Force who founded this opportunity at Digital Altitude. Force sounded exactly like so many frauds that have come before him. How he had a 9 – 5 job but was not satisfied with his earnings. How he “cracked the code” in how to make money so easily and that in under 90 days he was making well over 6 figures per month. Just “plug into his proven system” and you’d be guaranteed to attain the level of financial freedom that he has garnered. Really as they all want to tell you it’s just SO EASY to become rich! You just need to give them a bit of $$$$ out of your pocket. I can’t tell you the number of times I have heard this absolute, b.s,. garbage spewing from the mouth of some guy/gal who only was looking for you to drink of the poisonous Kool-Aid, buying all into his/her scheme. The fact that you did great research in coming up with previous scams attempted by this Michael Force character gives your readers further proof that they would be just plain fools to get even one penny into this bogus, 100% illegitimate opportunity. I got a headache just going through and reading this clown’s convoluted, multi-tiered system associated with Digital Altitude. The 72 hour return policy after one had invested, (moronically) $27,000 to get involved in the top tier program simply reeks of a scam. Again a person would be idiotic to even think about such an investment. To be honest people like Michael Force belong in jail. they are complete crooks. From there his “two lovely children” (described by Force in your review) could come see him during the prison’s visiting hours. I wonder how proud they would be of their crooked father? Great review John. I would have graded it as a 1 on the scale of 100! Hi John, you have a great article here, this Michael Force dude sounds like he wants to make as much as possible before he has to close this one along with the others that he did. One scam after another, and I’m sure he will start a new one after this one. With only 72 hours return policy he is not giving anyone a chance to fully explore his product, and once someone has taken the first step in they are trapped into spending more money to get that million dollar paycheck. I hope more people will read this before they fall for his scam. Awesome detailed review. Really appreciated, thanks for sharing it. This looks like one of those products where the money will flow in just one direction…out of your pocket, and with very little in the opposite direction. Thank you man, glad you liked the Review. Wow, well based on this review this is one service that I am NEVER going to get involved with. Thank you so much for your honest review of this! One quick question, what is an MLM? You use the term a couple times and I’m not quite sure that I know what it is. Great review and a big warning!! Just the fact that they people behind this product are the same people who have created Empower Network and Mobile Money Network is enough for me to stay far away from it! Thanks for sharing this review. Looking forward to read more of your articles. Thank you, glad you liked the review! You are doing absoluely right about staying away Albert. Thank you John. This was an eye opener! No problem Alex, glad I could help you out! Is that DA similar to MOBE ??? Thank for warning with good explainable of example out of it. Now I am stepping back from this money making programs. Haven’t heard of any of these before and by the sounds of it I’m glad I haven’t. Thanks for the warning. Obviously from your article I can tell you know what you are talking about. Cool that you mentioned Wealthy affiliate as a good option to take if you are interested in making money online in a legit way. I’m really enjoying the program and learning lots. It’s definitely the best program I have found fro developing marketing and sie building skills. Keep up the good work. Its’ funny I am reading this review John, because literally 5 mins ago I was reading another review that stated Aspire Digital Altitude was the best thing on Earth. After reading how much it “really” cost to be part of it — I for one am not going to join. For one I don’t have 27,000 to throw away and 2 like you said I can get the training much much cheaper! Thank you for the heads up about this program and letting people know what this site really is about. Many thanks for posting this article on DA. I was unfortunate to join this business but luckily for me I opted out after realising what I was getting involved with. I was also fortunate in that I was also able to cancel direct debit payments on time. I will say that the advertising and promotions of this business looked very professional and is somewhat convincing. I agree on that the marketing looks very professional, with ALOT of hype… The reason for that is of course because that kind of marketing is apealing to alot of people… I mean who don´t want to find a way to make huge amounts of money, right? There is a good reason why “get rich quick schemes” and “hyped programs showing you riches” will continue to pop up, they simply sell very good to people with hopes and dreams… In short, hype and scams sells very good. This is an absolute eye opener & I couldn’t have found your review soon enough. I had been contemplating joining but now I have to reevaluate my options. Great article and thanks for saving me from the headache. I will instead check out you recommendation and see how that goes. Even if you are a complete beginner or experienced in the subject of making money online in the form of internet marketing (the most lucrative way) you will benefit ALOT from the recommendation I will always stand behind completely. You got for example free hosting of up to 25 websites, free SSL, free keywordtool, constantly updated traing, live webinars every Friday. No matter what you need to learn more about you will find top quality training on: SEO, Niches, Keyword Research, PPC, Social media marketing, video marketing, E-com and Drop Shipping, etc. There is a good reason why it got well over 800,000 members from all over the world and have been the leading community in the business since it launched back in 2005. I thought something sounded scammy about this program. Whenever I read about someone who quit their paycheck-to-paycheck office job and went into digital marketing with no experience, and are making 6-figured. Hmm…well then why isn’t everyone doing it if Mr. Force makes it look so easy? Why aren’t those who are collecting garbage or pumping gas doing it? When I see pictures of people living in some huge houses or drive expensive cars, and they were once a waitress or coffee shop employee or whatever…. that makes me suspicious. It is also NOT easy and the reason for all the hype in most programs is because “hype sells” people buy into the “dream” instead of the product. Then when they understand that there is going to be woork involved they feel “scammed” as it sounded so simple before they bought into it. So glad to have found this site. I’ve never heard of Aspire Digital Altitude but the structure you describes reminds me very much of another program I was looking at called MOBE. Have you ever heard of MOBE? Although I suspect I know what your response will be, can you please do a similar review on MOBE? I’d like to get your thoughts on it before I make a move. A very thorough review and thanks for the warning! I think in a case like this, when it starts sounding like it’s too good to be true, it probably is…as cliched as that sounds. As I read through your review, I could see the level/layered structure of Aspire Digital Altitude and when you start seeing all these up-sells, warning bells should definitely be going off. Thank you! Glad you liked the review! Your post about Aspire is SPOT ON!! I almost got caught up in that nonsense. Your site is organized very well and easy to navigate. I like the way you included videos within your post. Wasn’t sure that was possible lol. Now I know, thanks. It’s obvious that you are following the lessons in WA very well, and judging by your WA review, you’re enjoying it as much as I am. Keep up the good work! When I got scammed by my binary option broker last year, I was suicidal after several failed attempts of call back. Till I was referred to geminihacks (dot) (com) get my money back, they was able to recover a total of 120k I lost last year to Glenridge capital, they are the best and I advise there contact if your in need of a full recovery.